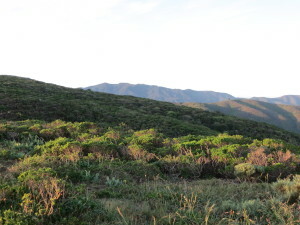 The Golden Gate National Recreation Area (GGNRA) manages Sweeney Ridge. 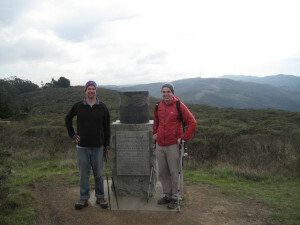 Most hikes in Sweeney Ridge are out and back due to closed SFPUC lands to the South (http://www.technologyhiker.com/?p=265). 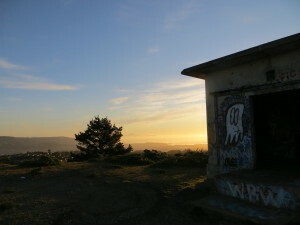 However, Milagra Ridge and Mori Point, both GGNRA properties, provide interesting connecting hikes with Pacifica Openspace. Sweeney Ridge is my favorite local park for trail running and hiking. The terrain is varied with downhill, uphill, and stair sections in every direction. The views are spectacular. Its trails and fireroads are well marked. Three major parking lots serve Sweeney Ridge – lot B in Skyline College, Sneath Road parking lot, and nursery parking lot off CA 1. I recommend starting at lot B in Skyline College. It starts at about 600 feet in elevation and ushers immediate views of the Ocean. Plus, the parking lot is not gated making early morning runs a possibility. Watching the first rays of the day hit Sweeney Ridge is my favorite time to visit. Sweeney Ridge relief is over 1000 from the Pacific Ocean. However, these Northern Santa Cruz Mountains are not tall enough to block fog, and the area can be cold and windy. Check in advance w/ a Pacifica webcam for the weather. I’ve hiked and run the trails at Sweeney Ridge multiple times. Options include a gentle incline up to a Nike Missile site building with 360 degree views. After a descent down a wash and up again, the trail meets the main trail juncture. 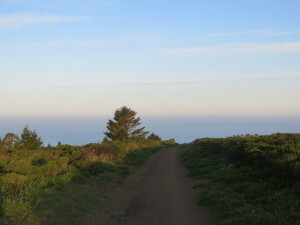 The trail descends either to the Ocean and Mori Point or up along Sweeney Ridge. Following the ridge uphill, several buildings that hosted a large Nike missile site complex provides an interesting view of the past. Near the buildings, the paved road to the Sneath Road parking lot meets the main trail. The trail continues and passes several shoulders descending West into Pacifica. After about 3 miles one way, a marker commemorates where Juniperro Serra spotted San Francisco for the first time. His party was traveling from the South and on a foggy day had missed Monterey. 80+ miles later, the party mapped San Francisco Bay. Then turn around. I trailran Sweeney Ridge again this weekend and watched the sunrise. I ran from Skyline College to the main trail. I turned right toward the ocean, ran partially down the ridge and then retraced my steps. The undulating terrain challenged my legs and lungs. The rabbits, birds, and views inspired me to return.